Color Beige or N25. 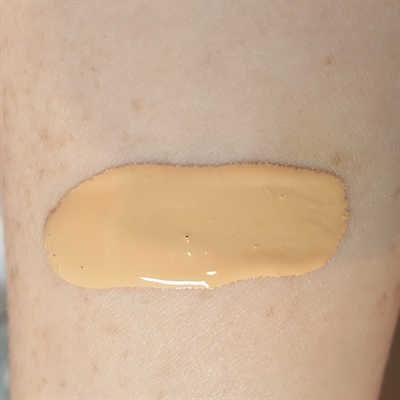 A liquid foundation that has medium to full coverage. Leaves a dewy finish and is non transferable so it wouldn't rub off on clothes. Perfect foundation for those who have acne and dry skin. Can be set with the loose powder foundation for added coverage. Color Comparable to Neutral Beige.